I Handcuffed Myself to Twitter. 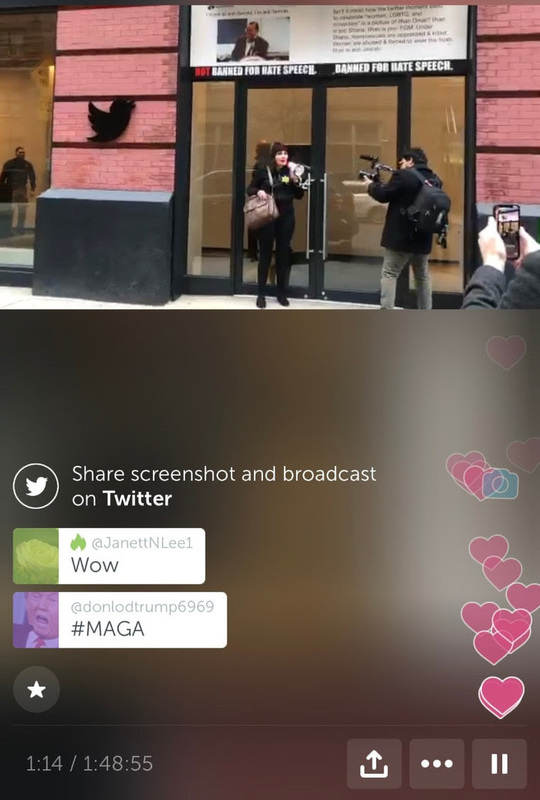 Following my own ban, and the ban of several other prominent conservatives from Twitter, I flew to New York City and handcuffed myself to the front doors of Twitter headquarters, demanding that Jack Dorsey stop censoring conservatives. 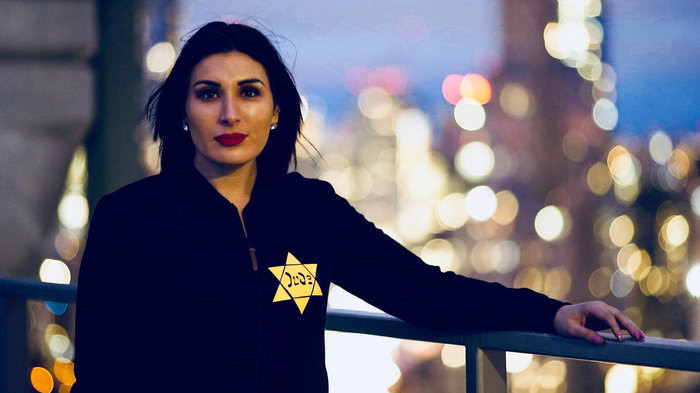 “Laura Loomer” was trending #1 on Twitter throughout the country, and #2 WORLDWIDE! Over 1.5 MILLION people watched the live stream of me handcuffed to Twitter, which, if you haven’t seen yet, you can WATCH HERE. In fact, during my one-woman protest, I was able to cause Twitter’s stock to drop 8.5%! We have a full page of articles covering my protest on the website, to read more, CLICK HERE. Not to worry, I’m no longer in handcuffs. I’m free to keep working for YOU, and conservatives everywhere! I appreciate each and every one of you who reached out, emailed, messaged, and shown support for my protest at Twitter HQ, but the fight is far from over. If we are going to #STOPTHEBIAS in this country, and win in 2020, then I need your help. I am joining others in a class-action lawsuit against Twitter, but in the meantime, I need to get back to work to bring you more REAL NEWS exposés concerning corrupt politicians and figures with a focus on Leftists, Jhadis, and RINOS. As conservatives, we can find, build up and create our own platforms to share our content – some of which are already in the works. You are not the only one who wants a change! This isn’t just about me, it’s about conservative ideas having the same access and representation as liberal ideas. Build my own studio – those who work with me are committed to creating professional content that will get more views, easily shareable online, and a pleasure to read or watch. Find a reliable platform – there are several amazing entrepreneurs who have already started the hard work of building a conservative, Conservative-friendly platforms like YouTube or Facebook. By working with them, I can help the platform grow, while being able to offer you my investigative work. Build a new, stronger, website – Many of you have commented that you’d like to see more on my website, and that it could be improved quite a bit. I completely agree! I am working on some exciting new interactive features for my website. If we are going to #STOPTHEBIAS in this country and win in 2020, then I need your help. 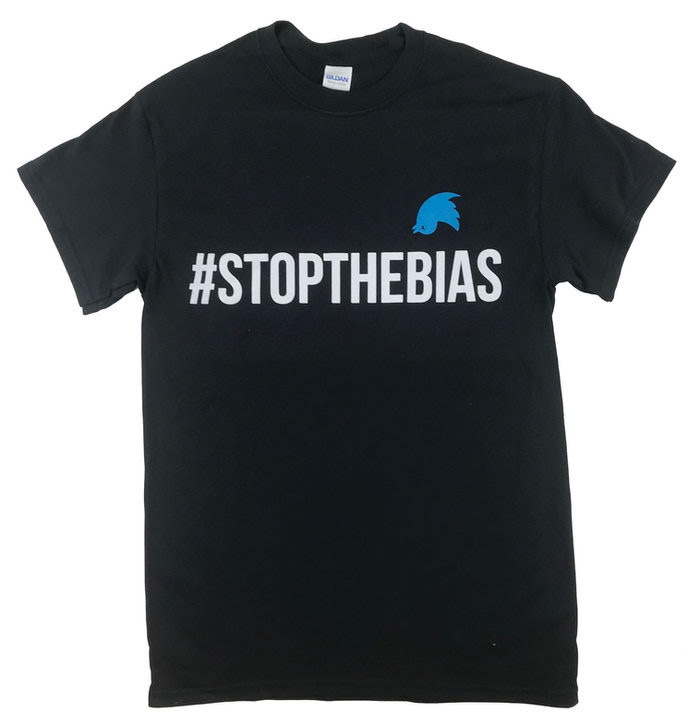 Number one: show your support by ordering your very own #STOPTHEBIAS shirt. Liberals have become oppressive BULLIES in America. Conservatives are afraid to share their support for our elected President for fear of ridicule. They face discrimination in the workplace if they dare to say they are against open borders. In America, we have a right to our beliefs, especially when half of the country agrees, and those same values are being represented by President Trump. Visit my Go-Fund-Me page and let’s get the ball rolling! Here are my official online accounts for those of you who want to keep in touch and know the truth about what’s going on in this country and in the world. If not, then go stick your head in the sand and continue to watch lying mainstream media and wait your turn – because they will get you too eventually.